The Institute for Palestine Studies, in partnership with the Palestine Center, cordially invites you to a presentation by IPS Senior Fellow Brian Barber. Just back from a visit to Gaza, Professor Barber will concentrate in this talk on the current vexing conditions in Gaza and the attendant range of emotions to cope with them. The Gaza Strip is an intense place – not just for its pockets of extreme crowding, but also for its emotions: of love, pride, sorrow, frustration, and challenged resolve. Gaza is also a vital place, indeed it is indispensable to any lasting peace in the region. 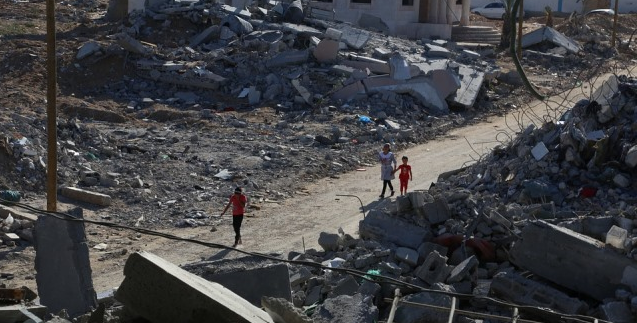 While excessive commentary and analysis abound about Gaza, there is precious little coverage that communicates the feel of the place and its inhabitants as they endure ever-more-strangulating constraints. Professor Barber attempts to do so in this presentation with an assemblage of photos, video, and, most crucially, narratives of the people he has come to know well through long stays in the Gaza Strip over the past 23 years. Brian K. Barber, Ph.D., is an Institute for Palestine Studies Senior Fellow. He is also Professor Emeritus of child and family studies at the University of Tennessee, where he founded and directed the Center for the Study of Youth and Political Conflict. He is editor of the 2009 Oxford University Press volume Adolescents and War: How Youth Deal with Political Conflict and has regularly published studies on global youth, including on Palestinians, in leading academic outlets such as The Lancet, Social Science & Medicine, and Global Public Health. His writings or interviews, particularly on Gaza, have also appeared online at Medium, Jadaliyya, New America Weekly Wonk, Muftah, InformedCOMMENT, Alternet, and openDemocracy. In his forthcoming non-fiction book, Barber follows the lives of youth who participated in the first intifada through adulthood based on successive interviews over the past 23 years. This entry was posted in MRSCP and tagged Gaza, Health, Siege, Travel Restrictions by admin. Bookmark the permalink.